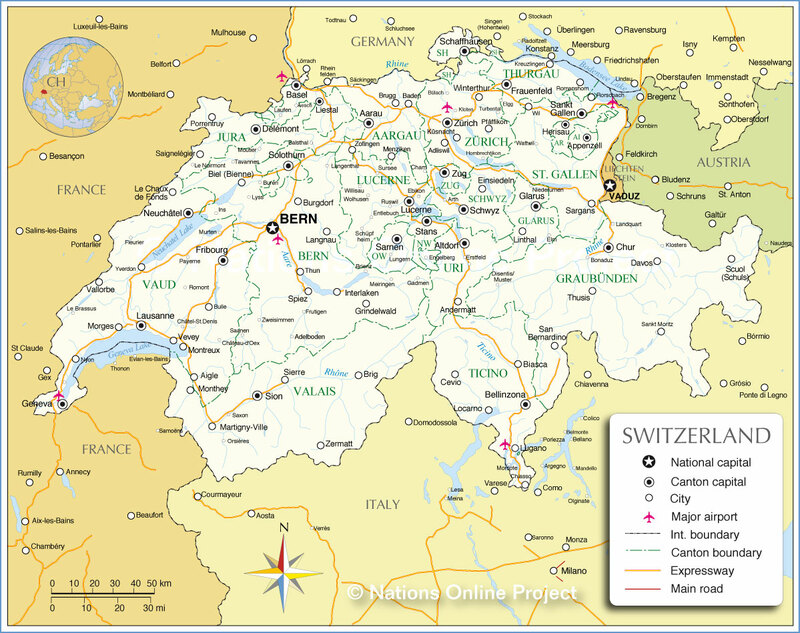 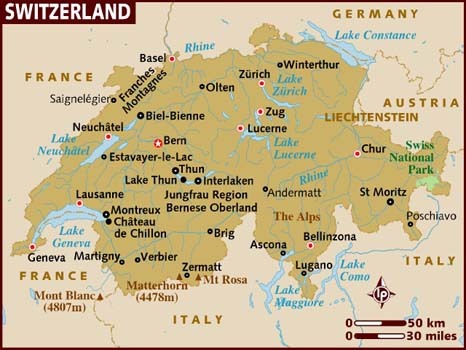 Extending across the north and south side of the Alps in west-central Europe, Switzerland encompasses a great diversity of landscapes and climates on a limited area of 41,285 square kilometres (15,940 sq mi). The population is about 7.9 million, resulting in an average population density of around 190 people per square kilometre (485/sq mi). The more mountainous southern half of the country is far more sparsely populated than the northern half. 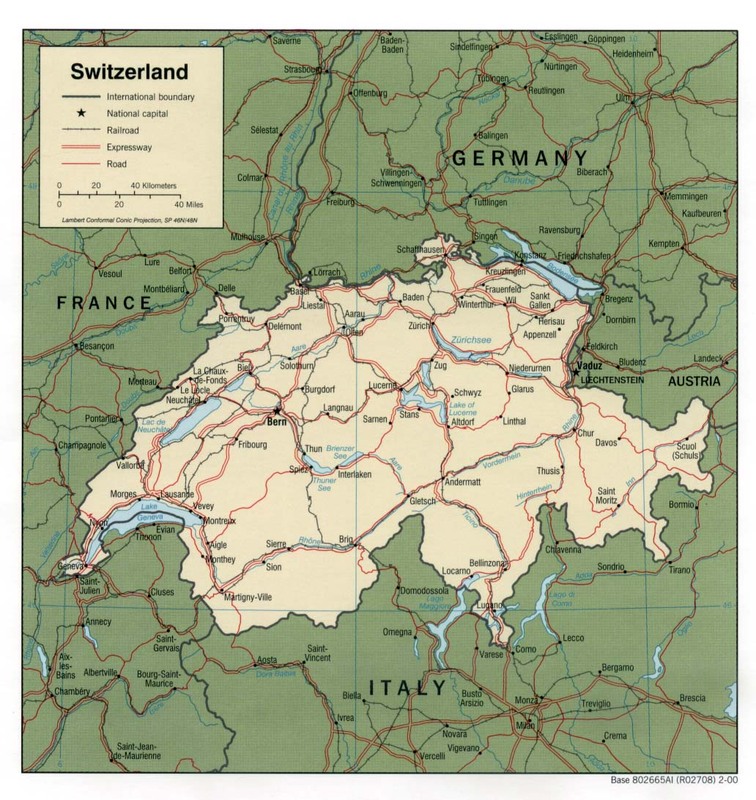 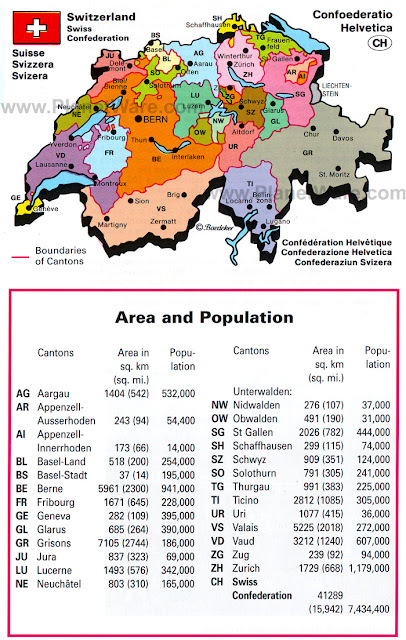 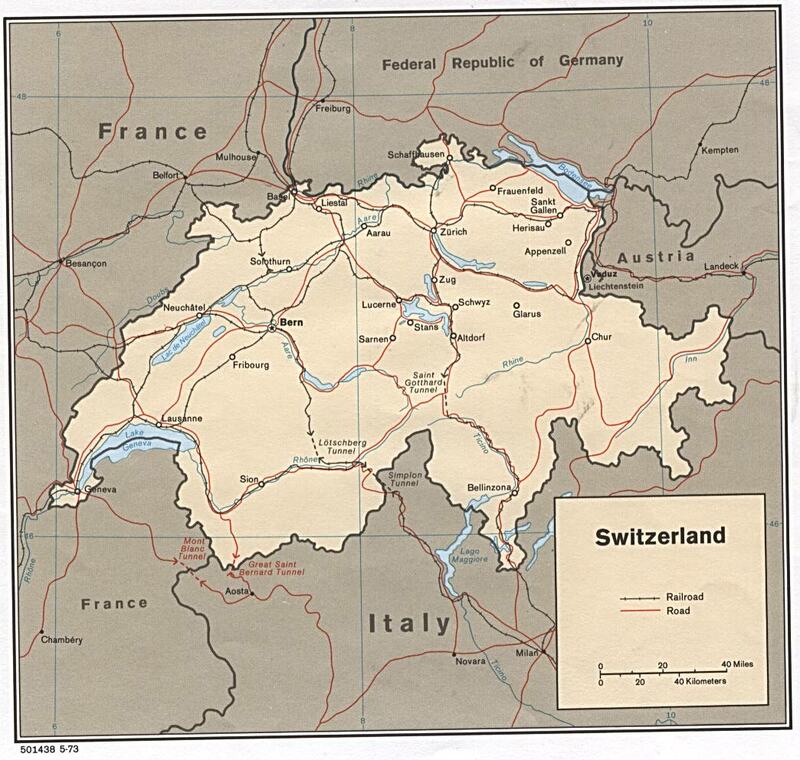 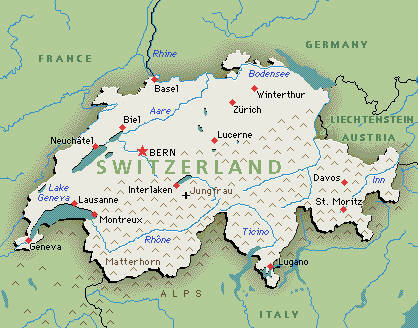 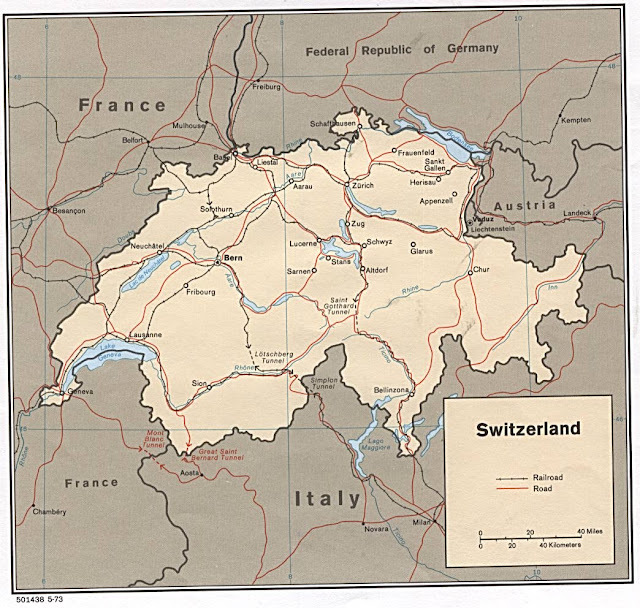 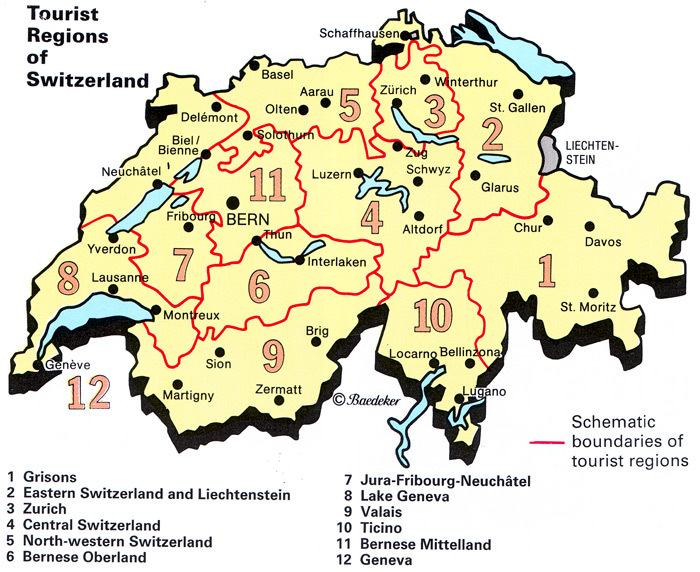 In the largest Canton of Graubünden, lying entirely in the Alps, population density falls to 27 /km² (70 /sq mi).